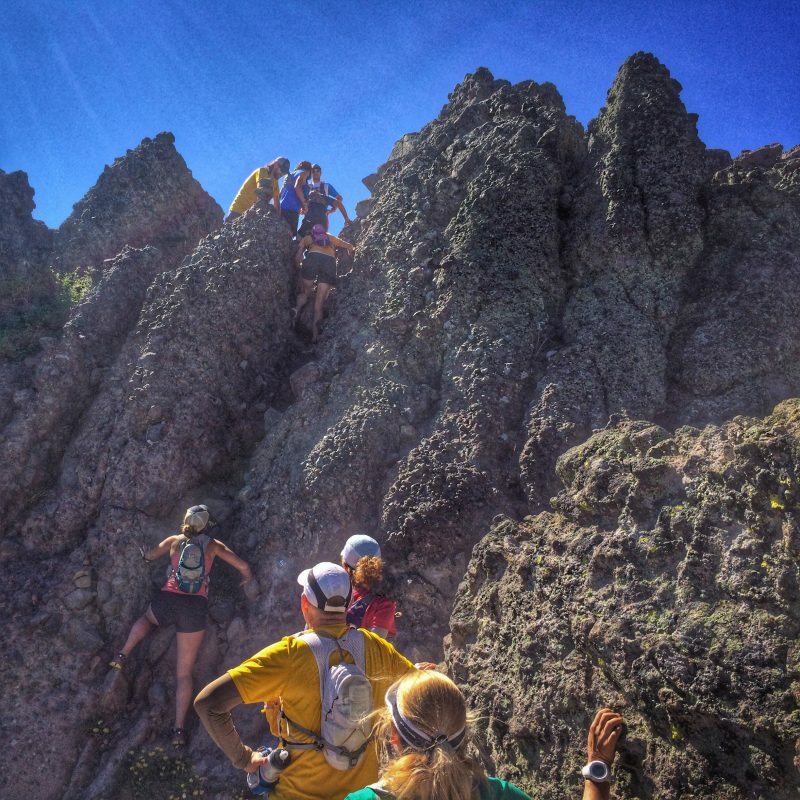 We invite all Castle Peak 100k runners, friends, pacers, and family members to explore the Castle Peak 100k course over three days, July 21-23, 2017. Non-registered runners may participate for free when they join the Donner Party Mountain Runners for as little as $35 annually (click here to join or renew today.) We will also have a fun social / movie night on Saturday, July 22, 2017 (details TBA). The three days will cover the Castle Peak 100k course in sequence, with the exception of the Hole in the Ground section from Castle Pass to Van Norden. All runs are one-way, meeting at the ending point and grouping into shuttles to each start point. Also, please note that the meeting times are different for each run.